Commercialization is seen in nearly everything today (not just on TV or in magazines) presenting professional images to convince the public that particular products are superior. It can be a music group, a household good, a car, and even religion, church, or a ministry. In selling a product, image is everything as the advertisers make their appeal to the masses. An example: Recently, a politician spoke of the state he was canvassing for the people’s vote, of how all their trees are the right height, and their streets are just right. Flattering people, giving them what they want to hear, is expected from politicians; but when it is heard from pastors and apologists, it can be a strong indicator that they are introducing something other than Christ. You know the people I’m talking about; they tell Christians what they like to hear, making their messages tailor made so the audiences will like them. On the surface, this seems pleasant to people and even commendable, except for one point - the Bible says there is only ONE faith. It was delivered exclusively to the saints (Jude 4-6). The Bible further explains that faith is not a “worldview” but an active willful trust in God and His Word, the Bible, and it centers around the person of Jesus Christ. So by a biblical definition there is no such thing as faiths. But to the world, this concept of unity among all faiths is more than acceptable. It becomes a concern when one sees Rick Warren host apologetic conferences with those who have different concepts of faith. Saddleback’s 2010 Apologetics Weekend conference included: Philip Yancey, Peter Kreeft, and Scot McKnight. McKnight, Kreeft (not to mention Yancey) is what Warren considers apologetics? Yes, they are apologists, but is it for biblical Christianity? What are we to expect from someone (Warren) who believes he is building the kingdom of God on earth (through unity of all faiths) and hosts an “apologetics” conference? Scot McKnight, who is part of the liberal movement - the Emergent church - states that “the Eucharist profoundly enables the grace of God to be received with all its glories and blessings” (Turning to Jesus, p. 7). Kreeft is a Roman Catholic converted from reformed Protestantism and a Buddhist sympathizer. In his book “Ecumenical Jihad: Ecumenism and the Culture War,” Kreeft says it is “very likely” that there is a “hidden Christ” in pagan religions, so that Muslims, Hindus, Buddhists, etc., will be saved “through Christ and His grace” even though they do not consciously know or worship Jesus Christ (pp. 156, 157). Thus, when Warren says, “I don’t really care what your doctrine is,” we should take him at his word. “Now I see that God prefers to work through intermediaries–Mary and the saints … He wants us to pray through Mary and not only directly” (p. 154). Kreeft is also on Richard Foster’s mystical contemplative prayer DVD “Be Still,” which Rick Warren also promotes. So when Warren has Kreeft in an apologetics conference, he is continuing to do what he has been doing all along - not caring about biblical doctrine. And why? Because Warren is an ecumenist first, then a humanist. And to him these activities are united together for the cause of his peace plan. 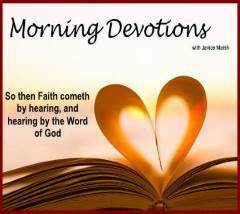 Titus 1:9 “holding fast the faithful word as he has been taught, that he may be able, by sound doctrine, both to exhort and convict those who contradict.” It is a command as well as a calling. “Exhorting you to contend earnestly for the faith which was once for all delivered to the saints” (Jude 1:3). I see few doing genuine apologetics anymore; few are defending the faith and giving answers to those who speak contrary to the doctrines delivered to us, which certainly includes polemics. Because of this lack, the church is reeling. Please don’t misunderstand - many apologists are teaching what is right on certain subjects, but they never seem to address the ecumenism taking place that is ruining the sanctification we are to be living by. They are still fighting old challenges that have already been addressed and answered from every angle but ignore the real fight, the current issues that we all face, which affect us so greatly. Take for example the “Truth Project” that so very many have been impressed with. For as much good it contains, it has a Roman Catholic priest, Robert Sirico, teaching - a Roman Catholic priest who has “another gospel” carried by sacraments. 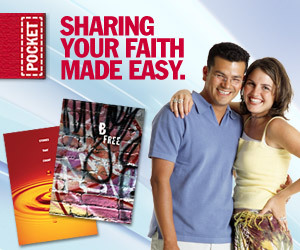 While the Truth Project encourages people to think, it appears no one is thinking too deeply on what they are enthusiastically accepting in this project by Focus on the Family, a ministry that alerts the church on cultural changes, but also promotes humanistic teachings of self-love and esteem within it psychotherapy. What we see today are those who are considered good teachers up on stage with Roman Catholic priests, even when those priests offer the eucharist. This is ecumenism on display and few Christians seem to be offended. The underlying intent of The Truth Project is to "transform our culture," which, they say, is done by the church. As if the world, society, and culture will be transformed into righteousness through us. Jesus gave the mandate for individuals to be transformed into a new life -- by the gospel, nothing more. Those involved in the Project can be seen as culture warriors. The very thing they should be equipping and warning the church on, they are promoting – that is ecumenism. My point is this, pastors (and apologists) who have promoted the Truth Project have given no qualifications in its viewing and openly and without reservation allowed people to learn from it; they may not have even noticed there were inaccuracies or wrong statements, such as when Del Tackett used the terms unio mystica and oneness in a favorable manner in Lesson 8 and gave no explanation of what these New Age terms really mean. This is how biblical thinking is subdued (from either a lack of discernment or merely trusting without question others who give information). Thus again we have commercialized apologetics working and consumed by the church. Those who exercise biblical discernment will see this and will be able to distinguish the errors. If we study the Bible daily and hold to a biblical understanding of the world and our place in it (genre is now “worldview”), we wouldn’t have to teach people about the cultural infringement of postmodernism on our lives. They would be spiritually mature to immediately recognize it and reject it. What we have is a lack of discipleship, and there is no 4-10 week crash course on answering the philosophies of our day that will suffice - learning the Word will! Nothing can substitute that. God’s answer has always been - do not adopt the unbelieving cultures’ ways and practices. He said this with Israel and also to the church. In Deuteronomy 12, it tells Israel not to become “ensnared to follow” other cultures. Does this mean everything is to be rejected? No, but if it affects our spiritual lives, then yes. What we have now in the church is a safe, soft apologetics. It’s OK to tell people what is wrong to some degree, but never challenge them on the issues that are intruding on them and making them feel good. Right now, the topic of atheism is popular within apologetics, which is good in and of itself but what about addressing things like ecumenism, Roman Catholicism, contemplative spirituality (spiritual formation), the Purpose Driven movement, the Shack, and the NAR (New Apostolic Reformation)? Not to mention things like our unbelief and lack of faith in the absolutes in the Word, courage to speak out what is true, our compromise with other teachings that are contrary to Christ that contribute to ecumenism! These hard topics are so often dismissed in most churches. Believers are not being as well equipped as they think they are. They attend so-called “apologetic” conferences, which give them a sense of security, but actually they become sitting ducks for an ever-growing strong delusion that is spreading like pollen in allergy season. Evil and error should be evident to believers (those trained by the Word of God), but it’s not. The church is being changed by word faith, positive thinking, emergent church liberalism, and the adoption of interfaith religious practices. “Prophets” and “apostles” that are not from the Lord are trying to bring the church under their direction. They preach their dreams and visions as if they are equal to the Scriptures, and the people flock to them. Why? Because they love to hear it. But some of these deceived Christians with tickling ears know no better because they have not yet heard a contrary position - a biblical one. Jesus spoke in parables to hide the truth from those who did not care to seek it. I’m convinced the Lord left certain statements in the Scripture that can be taken both ways to show whether one sides with what is right and what is wrong, what is biblically sound and what is not. One example is the interpretation of “I said ye are gods.” Look at how much mileage this has received from those who want to think of themselves as controllers of their own lives and destinies. It is the world that wants to have this control whereas Christians are willing to allow God this control. To those who have the spirit of error, these statements would give them strength instead of deliver them from the deception. These teachers ignore that God said He alone is God and there is no other. What I hear over and over is, “I have heard good things from these teachers,” or “they speak words from the Bible.” What you need to pay attention to is the wrong they say.” When seniors on a fixed income mail in their few dollars because the man on TV, who is supposed to represent Christ, promises them a blessing of money or healing, we should be appalled. We are to defend the weak (Isa. 1:17, 23: Ps.82:32; Ezek. 34:4), but they do the very opposite of what Paul said in Acts 20:35; 1 Thess.5:14. The Church is commanded to “earnestly contend for the faith once delivered unto the saints” (Jude 3). We are to guard this faith (2 Timothy 1:13-14) and defend it against opposition from without and within. The phrase “contend earnestly” is a combination of two Greek words that intensify the meaning of labor or striving. It means: “to struggle, as a combatant,” to work fervently, fighting to overthrow an opponent, as one who is competing vigorously to win in the Greek games. We are to contend in this manner for the “truth,” not just to win an argument but to win the person who is being influenced by the error of the teacher they have accepted. We are to impact them with truth so they can agree with what God has written in the Bible. By doing this we have saved a soul from destruction. It’s about people and the faith in which all believers are to be united. And we should never lose sight of this. Jude says certain men crept in unaware, and they are still creeping in. Too many live as if there is no falling away taking place. Too many live as if everything is still as it was, that nothing has changed, when nearly everything has changed. It is up to those who know to make others aware. Remember Joshua 9, what the Gibionites did? It was right after victory that deception came in the camp. They flattered them by saying we will serve among you. Joshua even questioned them but not sufficiently. The main neglect was he didn’t consult the Lord. “So Joshua made peace with them, and made a covenant with them…” Lies can be told so efficiently that they go unnoticed. Some lies are less invasive, but no matter how small, they grow and have the intent to eclipse the truth. Other lies are so powerful that when they are accepted, it leads to a person fully compromising. Apostasy does not come in such bold colors to be noticed at first; often it adds error to the truth piece by piece until it misleads many people. When error is not dealt with, it grows, until it is all encompassing. Yes, a little leaven can leaven the whole lump when we refuse to purge it. The Bible says “beloved, let us cleanse ourselves from all filthiness of the flesh and spirit, perfecting holiness in the fear of God” (2 Cor. 7:1). Notice not just the flesh but the spirit. When it refers to our spirit, it is speaking of false teachings and philosophies accepted that affect our spiritual walks with the Lord. Most Christians are not practicing biblical separation from false worldly teachings. Many want to continue in fellowship with the people who bring error, no matter what they say or do. They are compromised and do not notice that they have been affected and infected. And when someone tells them, they usually react in the flesh. As long as there are so many who don’t take a stand, false teaching will continue to escalate in influence. See this video of a pastor in the "tent meeting" of Dayna Muldoon who holds “miracle” crusades and gives her followers an "Anointed Stone of David." When a pastor or an apologist says that the church is to “transform the culture,” this is a sign that his biblical apologetics has been compromised. Culture is run by opinions from the world, the government, philosophies, and ideologies of sinful man. It is constantly changing because of people’s whims, what they accept as the norm for all people to interact. The Bible says to transform our minds as individuals, which comes from adhering to the Word and living it through the power of the Holy Spirit who is resident within us. Without Him being our teacher, we are left to our own opinions or the cultural influences all around us. Cultural transformation is not to be the focus for the church. Yes, we are called to be salt and light. What this means is that we are a preservative against the corruption of sin all around us. We can proclaim what is moral and ethical to the unsaved in the culture because we speak from the Word, which view is absolute truth. We are light living in a world of darkness. The world is already corrupt at its core, and there is no changing this, we are like a lighthouse on the shore leading people to safety from being shipwrecked by their own lives’ compass. Jesus said we are in the world but not of it. But there are those who, while perhaps well meaning and well intentioned, want the culture changed because they think we are to build the kingdom of God on earth today. They are no longer willing to wait for God to establish His kingdom after Christ returns. For whatever reason, they are convinced it is up to us to do this prior to that event. The Bible is absolutely clear that man does not have any ruling position in the world prior to Christ returning to the earth. Ecumenists like Rick Warren who addressed 30,000 in attendance in LA Stadium: “I stand before you confidently right now and say to you that God is going to use you to change the world. … I'm looking at a stadium full of people who are telling God they will do whatever it takes to establish God's Kingdom 'on earth as it is in heaven.” This is a false promise, distorted doctrine, and summarily only flattery. Too many think teaching basic truths is enough to protect the sheep without ever addressing the lies that are everywhere. This leads to a diminishing defense of the gospel and a vanishing protection against the error that now has a constant flow inside the church, causing the apostasy to spread even faster. And realize this, no professional evangelist or pastor is going to have the answer if he has become part of the problem. They must stay diligent and informed on the issues we face. The only way to stop or diminish its escalation is to prevent it from continuing to enter the church. But what do we do with what is already in? This is where a concerted effort of exposure of false teachings will either cause those teaching them to leave, or it will immunize the people against these teachings. When the church loses its zeal to defend the truth, when it is attacked and does not respond to proclaim the truth, we are in a crisis. There is little protesting in what’s been taking place, which means either people are not knowledgeable, they are unaware of the differences, or they don’t care anymore and their love has grown cold. We are watching a death. Churches are dying and some are participating in this, even hastening her demise. Should not those in apologetics address the things bringing this death? Apologetics is not only about identifying what’s wrong, but also is about answering why it is wrong and then correcting it. Researching all that is incorrect and reporting on it is good but that is only the first stage. It is also about giving practical, biblical answers that address these wrongs. Answers people can take home with them and actually use. A real apologist explains why someone or something is wrong by comparing it to what is right, which is the Word of God, the standard for the believer in Christ. Why is it that so many Christians do not see how those who are supposed to give answers are not defending the gospel and calling people out who are harming innocent people by their deceptions? It’s become too risky to speak out on the things that matter, and so many remain silent in order to protect themselves. It’s become more difficult to answer people because many become hostile when they are challenged. No matter what is said to them, plain Bible truth does not make sense to them. They are patriots of men, loyal to their own positions, and are not willing to hear anything contrary that might prove them wrong. Many pastors and apologists take the high and road where there is an avoidance of conflict, purposely skirting the issues that adversely affect the church. One reason is so their ministries will have good standings with their supporters. I know this as a fact. A few years ago, a well-known apologetic ministry came to speak at the largest word faith/ latter rain church here on Oahu (a church that promotes Hagin, Copeland, Hinn, Rodney Browne, etc.). I contacted the president of the apologetic ministry and told him what the church is into; his response was: he would speak wherever the Lord opened up the door. What a thing to say! So he thought the Lord opened the door on how to better evangelize and to equip a church that blatantly promotes false teachers. In other words, he put his own message and ministry above integrity and the true work of God. Amazingly, these were the very people his ministry speaks against on the web and at certain lectures. What hypocrisy! And this is exactly the point I’m making by this article. The very people we trust to protect the church disregard their callings so they can have support. That is a travesty. And we wonder why the church is in such poor condition? Apologists are to be helpers to pastors and watchmen for the flock. What’s happening here is like feeding the flock to the wolves. What even made this matter worse is that other “good churches” did not seem to have a problem with this ministry and invited them to speak as well. It becomes obvious that certain pastors and certain apologists lack principle and courage, and they do not address the issues because, well frankly, it affects their livelihoods. A shepherd protects the sheep by laying in front of the entrance of the sheep pen so no enemy can get by without him knowing. But today the shepherds of the church have made the entrance so wide that the wolves just walk right by the shepherds who are saying God bless you and welcome to the wolves. Elders are to watch over their flocks (Acts 20:28-35), not put them in harm’s way. Maybe I’m too optimistic that we can still do something to prevent this from worsening. God may have ordained this time for judgment, but unless we try, we will never know. We don’t need spiritual politicians but those who spine is straight with the truth and are bold enough to defend the faith and who have counted the cost to preserve the body of Christ. May God give us many more bold and courageous voices to speak up in these perilous times in which we live.